Kamado grills originate from areas of China and date back to around 1,000 BC. They slowly made their way across the world and eventually found their way to America where, in 1974, the first Big Green Egg was born. 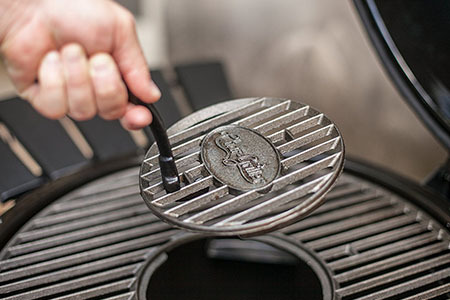 Ever since then, many companies have had a go at designing their own Kamado grill, including Char-Griller. The Akorn is what they produced and we’ll take you through everything you need to know about whether a Char-Griller Akorn is the kamado for you in our review. 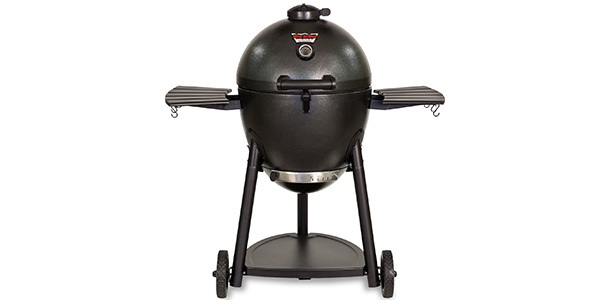 The Char-Griller Akorn Kamado Kooker is made from a triple walled, insulated steel. It retains heat fairly well considering the low price and steel build. It’s not quite in the same league as a proper ceramic grill, but it does a good job. The design allows for a nice even heat distribution and it cooks up food very well. It has a 20 inch diameter cooking area which is equal to 314 square inches. This is larger than the Kamado Joe, which is usually over three times the price. There are a lot of features that make the Kamado Joe worth that money though, which we have explored in detail in our Kamado Joe review. The cooking grates are made from cast iron and are very sturdy and make cooking very easy due to the great heat retention. There is even a small circle in the middle that is removable for adding coals. This is a nice addition but as it’s in the middle it can be awkward to use if you have meat on the grill. Luckily, the Akorn holds its heat well enough to not have to be topped up with extra charcoal much at all. There are a few other smaller design features that make the Akorn easier to use and an overall great investment. The wheels, legs and bottom tray are a great feature that make the Akorn portable. The side shelves with hanging hooks are a great addition that gives you some working space. There is an easy dump ash pan that very simply unclips and allows you to get rid of the ashes from the previous cook. The lid even has a locking clip that makes transport much easier and helps to keep the heat in when it’s cooking. All these small features add up to make a great overall package. There are a few problems though. Some people have reported that after a while some of the fittings and fixtures have broken. You’ll easily be able to buy this grill for less than $300 and honestly you won’t be able to get a much better quality kamado grill for this price. If you want a kamado that will last forever then you’ll have to look at the higher range grills. 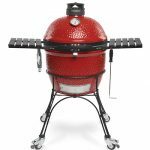 Check out our list of the best kamado grills to give you an idea of what to expect from each. 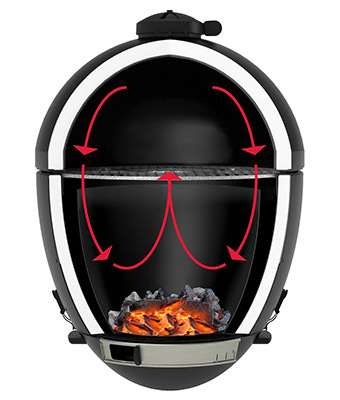 The assembly of the Char-Griller Akorn is generally quite easy. There are good instructions which will help you spend roughly 30 – 60 minutes getting it ready to cook on. 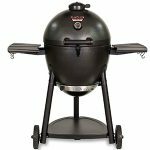 Kamado grills tend to be a bit different to cook on in comparison to conventional grills or smokers. As they are very well insulated they will keep their heat very well. This means it’s very easy to raise the temperature of your kamado, but much more difficult to bring it back down. This is true for the Akorn as well. If you’re smoking some meat you’ll have to slowly creep the temperature up to the desired temperature, making sure you don’t overshoot it. The two dampers on the Akorn work fairly well and using the simple guide below you should be able to get cooking simply and quickly. When you’ve got the hang of adjusting the temperatures the cooking becomes much easier and very enjoyable. As the Akorn holds its heat very well, it can smoke very easily and produces some of the best results we’ve tried on a budget kamado. Huge versatility – Kamados are the most versatile outdoor cooker you can buy. 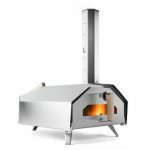 With a couple of accessories, they are able to grill, smoke, cook pizza like a genuine brick fired oven and also act as a standard convection oven. This means you can cook just about anything on it. The Akorn cooks very evenly – This is due to it being a kamado, which generally manage to keep temperatures very even. An even heat will make cooking much easier, and on the Akorn it is about as simple as it can get. Wide temperature range – The Akorn can comfortably cook at temperatures of 200 – 700°F (93°C – 371°C). 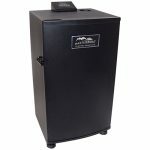 Efficient use of charcoal – With all Kamados you will notice how efficient they are with charcoal, and the Akorn Kamado Kooker is the same. It can do very long cooks with only one batch of charcoal. We’d recommend using bigger pieces of lump hardwood charcoal for longer cooks and smaller lumps for quicker, hotter cooks. Read through our guide to different types of charcoal for more information. Very good ash pan – The ash pan on the Akorn is well designed and makes cleaning up the ash much quicker. Quite light considering its size – As it’s a steel kamado it’s a lot lighter than its ceramic competitors. This means it’s a lot easier to move around and transport. Good value – Considering the price of the Akorn it is incredibly good value for money. 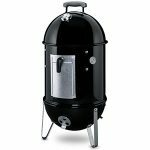 You get a lot of the best features of the more expensive kamado grills at a much lower price. The only downside is the build quality. You’ll be getting a lifetime product out of a $1,000 dollar kamado, with this the chances are, you won’t. 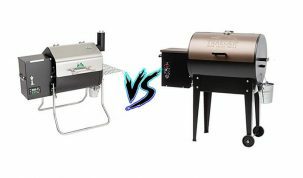 Build Quality – Whilst the Akorn Kamado Kooker isn’t ‘bad’ it isn’t the same as a Kamado Joe for example. You do get what you pay for and seeing as this is a lower budget product you can’t expect the build quality to be amazing. The learning curve can be quite large – If you’re used to normal grilling then cooking on a kamado will be a very different experience. 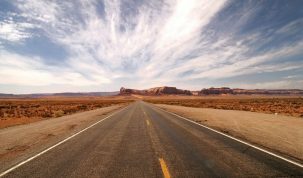 This is a lot of fun to learn as you go, but it might result in a few bad experiences along the way. 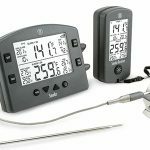 If you keep control of your temperatures with a digital thermometer and remember that it’s much more difficult to decrease the temperature than it is to increase it, you shouldn’t have a problem. Steel isn’t ceramic – This is an arguable point, but we believe ceramic is much superior to steel for kamados. It holds its temperatures better and we think it makes for a better general cooker. Also, steel can rust. Overall, the Char-Griller Akorn Kamado Kooker is a very good product at a very attractive price point. 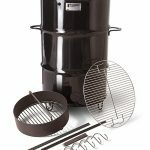 For around $300 you can get a well designed, steel kamado that is capable of cooking food as well as some of the $1,000 alternatives. It has a few quality issues that are expected from a kamado at this price point, but that isn’t enough for us to not recommend it. If you’re looking for a cheap entry into the joys of cooking on a kamado then the Akorn Kamado Kooker is a brilliant choice. 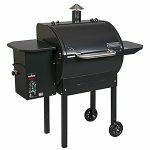 Char-Griller Smokin’ Stone – This is a must have for anyone that wants to smoke meat on their Akorn. 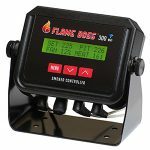 It works by reducing the direct heat from the coals while still allowing indirect heat and smoke to move up to the grill to cook and smoke your meat. This is made from cordierite which means it’s incredibly strong and is a great absorber of heat. That means it’s also usable as a pizza stone and can produce some amazing pizzas. Char-Griller Akorn Cover – We recommend picking up a cover for any grill or smoker you own. Not only does it keep the weather out but it reduces the build up of moisture, dust and dirt which will help prolong the lifetime of your Kamado. 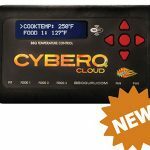 Automatic BBQ Temperature Controller – These are little devices that measure the temperature of your Kamado and will automatically adjust it when it gets too high or too low. 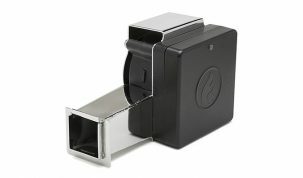 They use a small controller and a fan to increase the airflow and therefore the temperature. We’ve had great success with them in the past and highly recommend them. They’re perfect if you’re looking for a super easy, set it and forget it type of cook. They take any worries and hassle out of cooking and even help reduce the amount of charcoal you use. Make sure you properly season your new Akorn. Char-Griller apply a coating of natural vegetable oil to the inside of your grill to protect it during shipping and it needs to be burned off. Read through the manual and our seasoning guide to make sure this is done correctly. 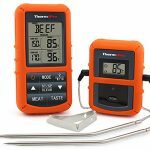 Use a digital meat thermometer to get accurate readings of the internal meat temperature and ambient pit temperature. This will ensure that all your meat is correctly cooked. Use our smoking times and temperatures charts to make sure you cook your meat to the correct temperature. You can reuse charcoal if it hasn’t been fully burned, but if you’re using your Akorn for searing then it’s best to use fresh charcoal. Because of the way Kamados are designed they can act as almost self-cleaning grills. Just fire it up to roughly 700°F and leave it for 30 minutes or so. Open the vents and let it cool completely. Remove the ash and firebox, and brush everything down with a brush. Wipe the grate or put it in the dishwasher and then reassemble. It’ll be very simple to clean down after being heated because the high temperatures break down and sterilizes the mess. You won’t need to do this every time, but we’d recommend doing a deep clean after around 10 cooks. 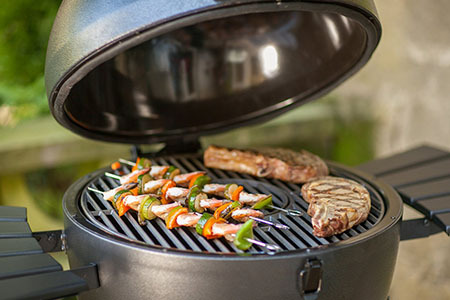 Char-Grill also provide a list of recipes and further tips to get the most out of your new Kamado grill. If you think we’ve missed anything or want to know more about the Char-Griller Akorn, then leave us a comment and we’ll get back to you as soon as possible.